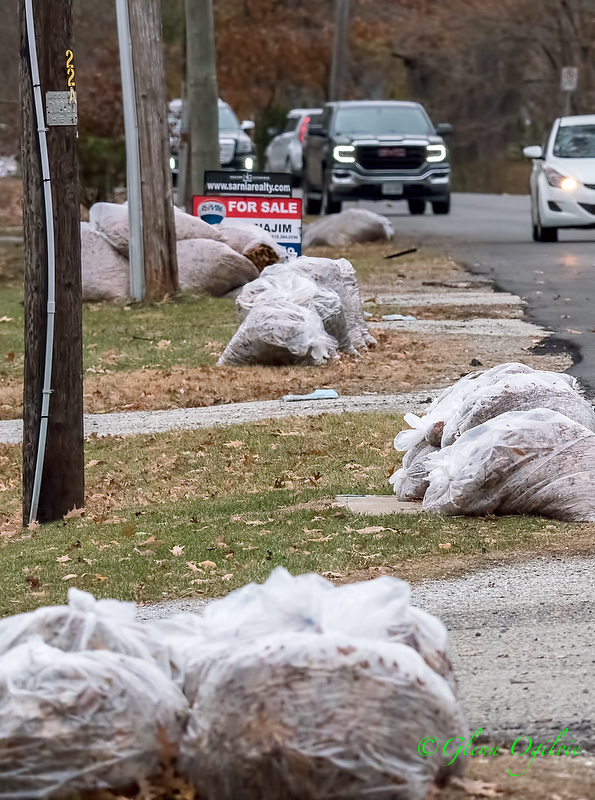 City Hall has received “numerous” complaint from residents whose bags of raked leaves have not yet been picked up this fall. Bad weather, equipment breakdowns and an unusually high volume of compostables combined to put curbside pickup weeks behind schedule, said city engineer Mike Berkvens. “They had found there was quite a bit of volume in the last few weeks,” he said of the contactor, Emterra Group. Leaves are primarily collected over a six-week period in October and November. Delays began almost immediately because of unexpectedly large volumes of grass clippings and other compostables. By week four, a sudden change of weather produced a large downfall of leaves and made collection a soggy mess. Emterra was forced to retain its own contractor to assist but pickup fell behind again. At one point Emterra had collected 48% more leaves then it had at the same time in 2017, Berkvens said. In week five, freezing weather caused equipment failures that led to more delays. 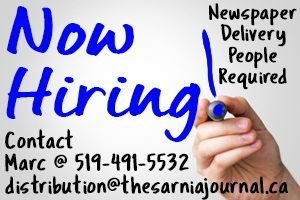 Sarnia’s contract with the company allows for penalties to be imposed if it can’t fulfill its obligations, but Berkvens said he doesn’t expect that will happen. However, any additional costs the contractor incurs won’t be passed on to the city. The next and final curbside pickup of compostables in 2018 is scheduled for the week of Dec. 10.